GUESS WHAT? 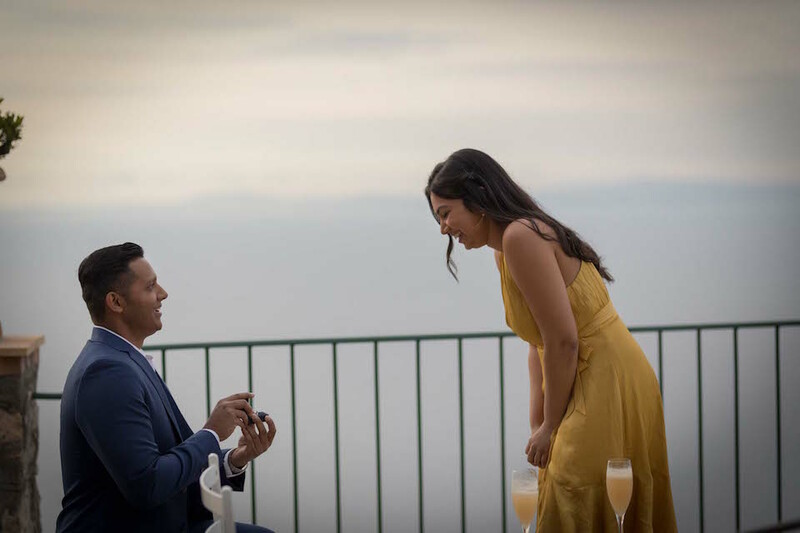 The moment Nisha discovers Flytographer has been secretly capturing the entire proposal! “My fiance (boyfriend at the time) and I planned to go to Lisbon for an extended weekend trip to get away from the busy bustle of NYC and spend some time together. 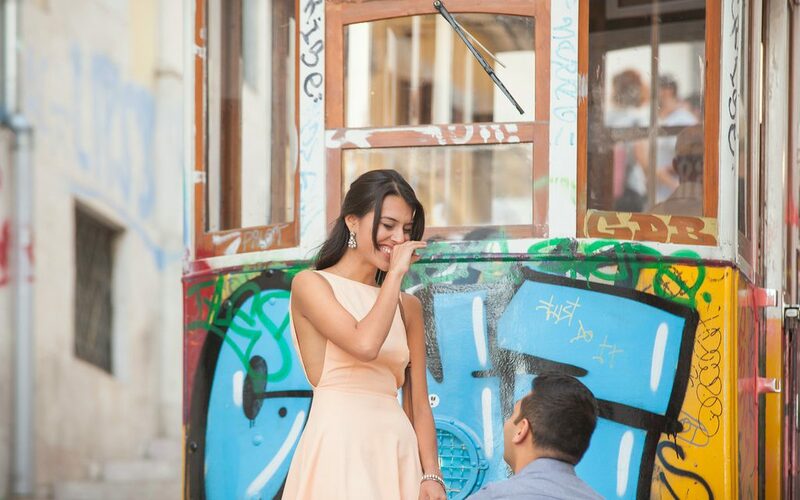 We fell in love with the city, even more so when he surprised me with a proposal at the top of the Bica tram stop! The view and moment were perfect! “It was 2009, the summer after my sophomore year of college, and my first day of work at my first summer internship. Riddhish was already working at the company full time and was in charge of intern on-boarding. He was personable, charming, and funny- and gave a presentation that at the time seriously impressed me. I went home like a giddy little girl, and even mentioned to my Mom how smitten I was. I coincidentally ended up being assigned to a team that overlapped with Riddhish’s team. We chatted incessantly on the company’s internal messaging system- every single day of my ten week internship. When my internship was over, I returned to school, and we resorted to Facebook messaging but those were far and few. The next spring, in 2010, I studied abroad in London, and for some serendipitous reason we began chatting on gchat. Again we chatted all day, through different time zones. This time it felt different. 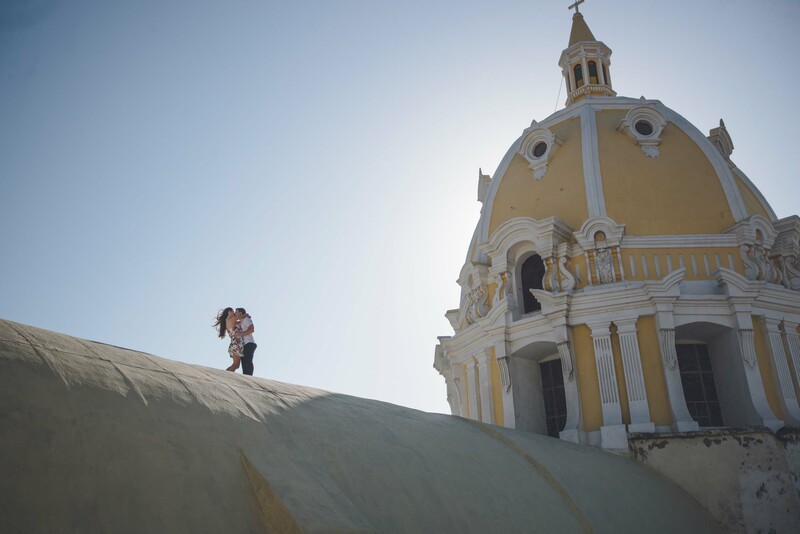 “The secret to our surprise proposal wasn’t so much in the surprise as it was in the routine. Nisha and I have always been a bit of a jet setting couple. We both love exploring new cities and countries and always have our list of desired destinations readily accessible. So a trip to Portugal, it was my turn to choose, didn’t raise any eyebrows for her, or any of our friends and family. We spent the first few days of our vacation in complete bliss, enjoying the wonderful culture, sights and wine of Lisbon. Little did she know that every time we got back to our room I would frantically check to make sure the ring I had secretly tucked away under a pair of socks had not moved an inch. By the 3rd day of the trip we had settled into a magical routine , sun kissed strolls through the city interrupted only for the occasional pastry or espresso. As we do on every trip, we set aside one evening to be a bit classier, a romantic dinner and a night on the town. Nisha is a photography enthusiast with an eye for fashion and style so when I told her I had read about a picturesque lookout point, where we could capture the winding cobblestone streets, the infamous Lisbon tram, and the Atlantic Ocean all from one spot she jumped at the opportunity. So off we went, both dressed to the nines but only one of us aware of what was to come. Before our trip I had arranged for the services of Flytographer to fully capture the emotions of that unforgettable moment. Together we crafted a game plan that included her appearing to be an ordinary tourist taking pictures of the sights and surroundings and me getting Nisha to pose in front of the tram while I took a few iPhone snaps. Oh and to propose of course. After taking a few pictures of Nisha in front of the tram I began to walk towards her to show her how they were coming out. This was the signal to our photographer that I was about to propose and quite possible the most nerve-wracking 10 seconds of my life. As I got closer and my approach slowed I could tell she still had absolutely no idea what was about to happen. It wasn’t until my knee was firmly planted on the ground and her eyes caught sight of the ring did she realize what was happening. In fact, her first words to me were “what’s happening.” With weeks of meticulous planning and preparation under my belt, a hidden photographer a mere stones throw away, and one of the most romantic backdrops I could’ve imagined; my mind went blank, my heart continued to boom, and I said “THIS is happening” as I slid the ring onto her finger. The emotion of that moment never faded as our photographer now made her “first” appearance and took us on a magical photo shoot through the backstreets of Lisbon. We spent that night in exhilarating fashion, bouncing from bar to restaurant, sharing wine and tapas, never having to say a word to anyone because the beaming smile on both our faces gave it all away. PS – We found out that Nisha has a cool style blog, check it out! Thinking about proposing? 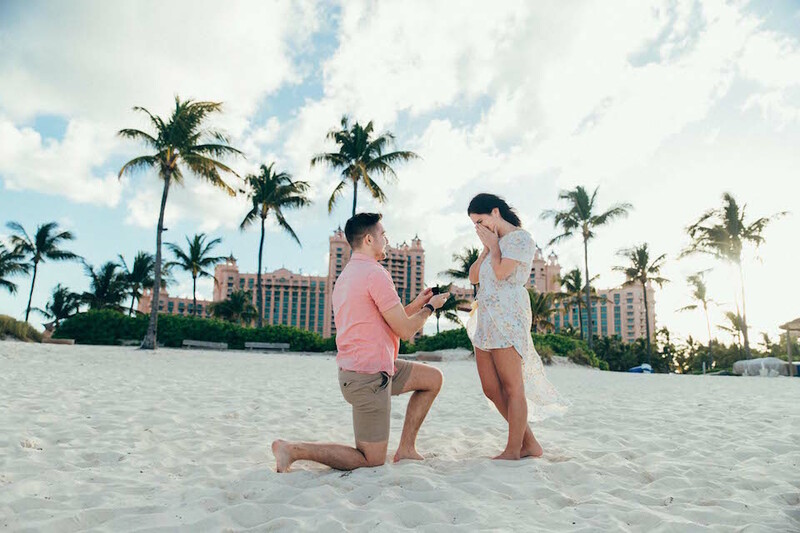 We have a lot of great proposal ideas! Give us a shout below.